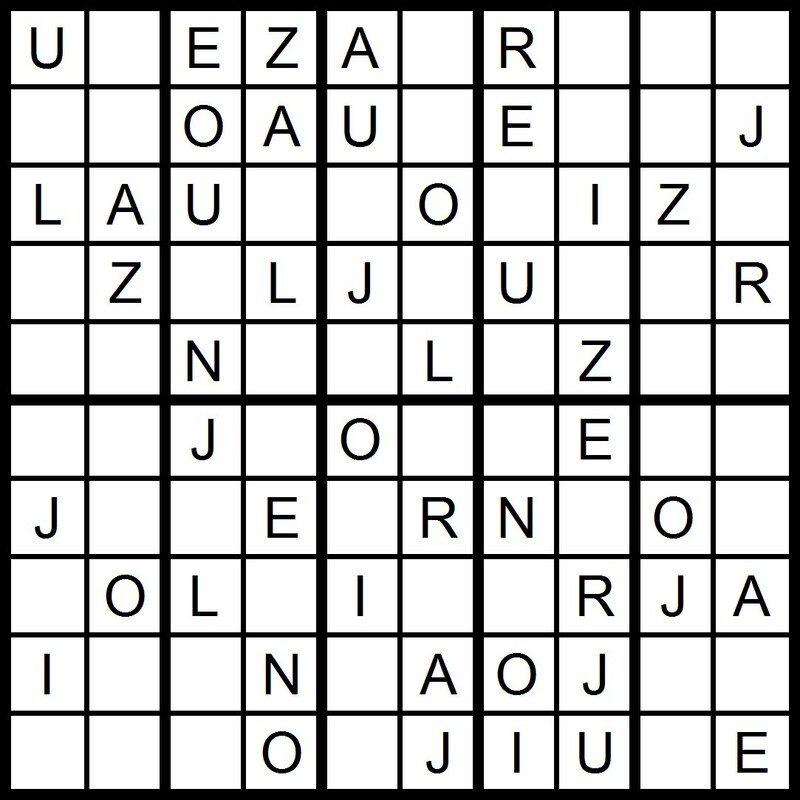 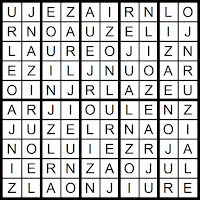 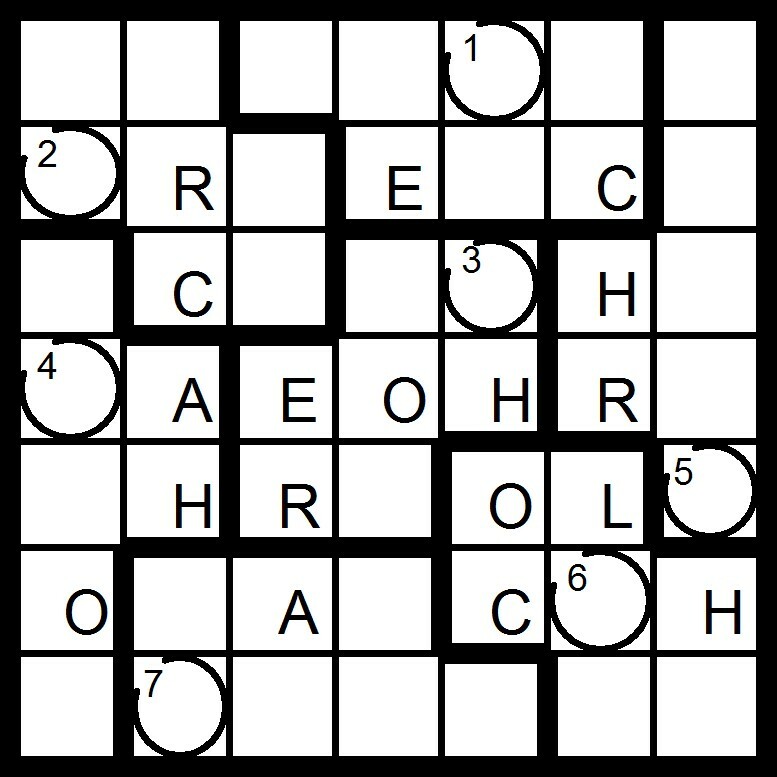 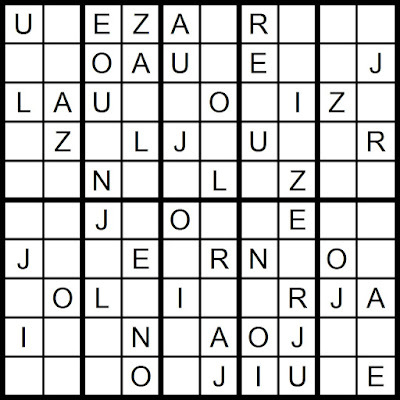 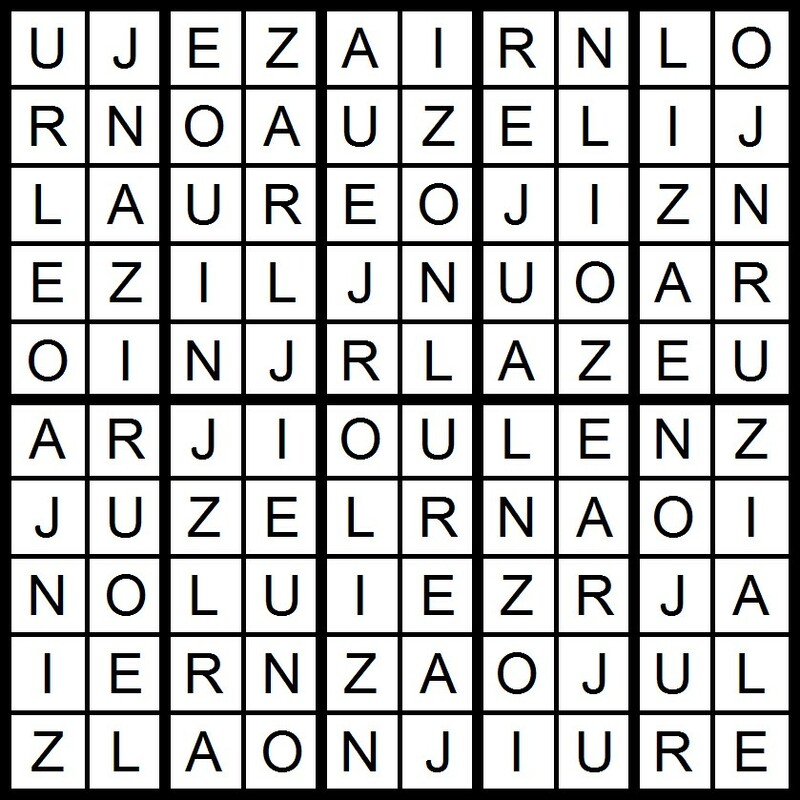 Yesterday's 10x10 AEIOU Word Sudoku puzzle was based on the letters in the word JOURNALIZE. 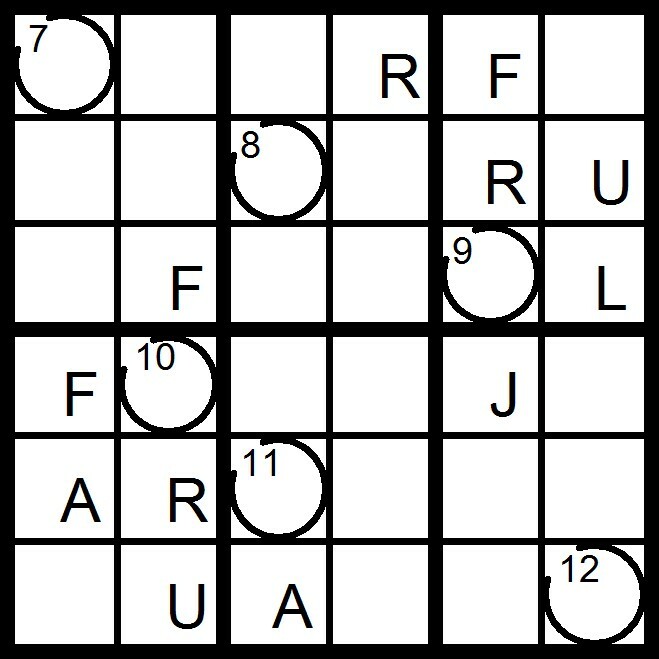 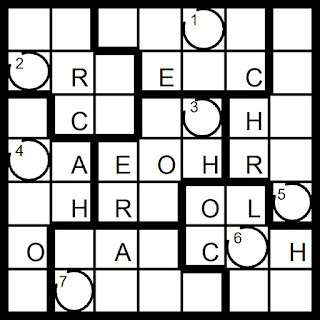 Today's 10x10 AEIOU Word Sudoku puzzle contains the letters in the word JOURNALIZE. 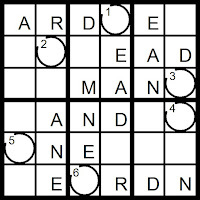 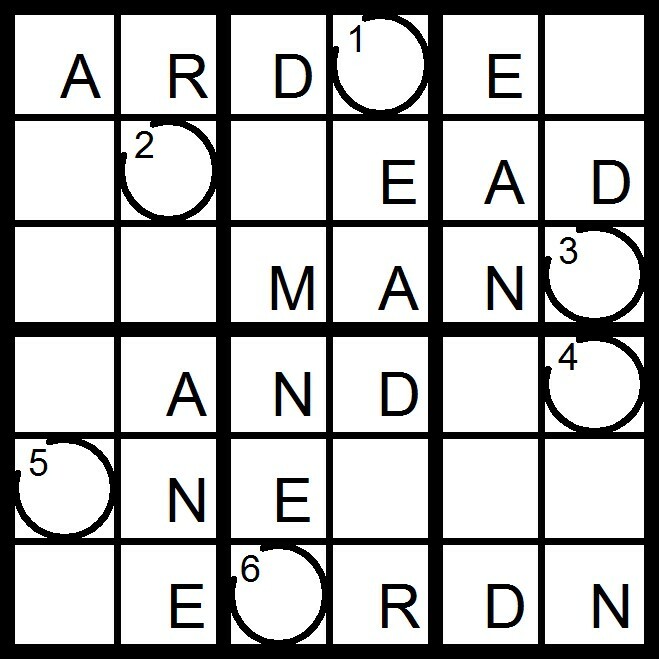 Yesterday's 9x9 AEIOU Hidden Word Sudoku puzzle was based on the letters AEIOU +DNPT (PIANO DUET). 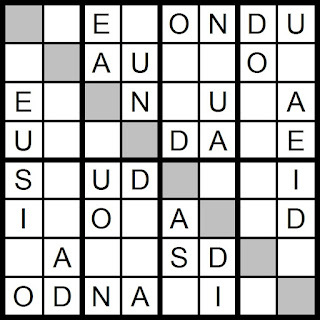 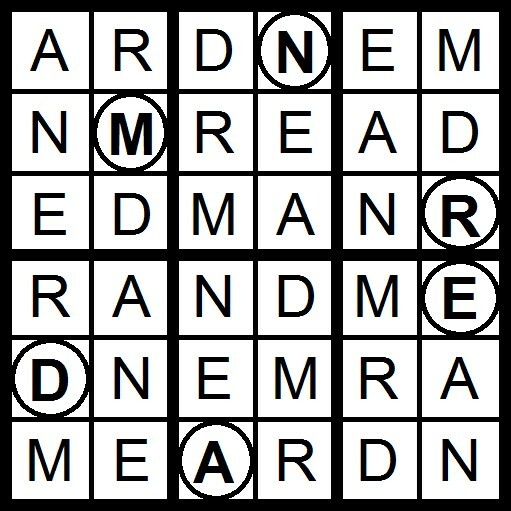 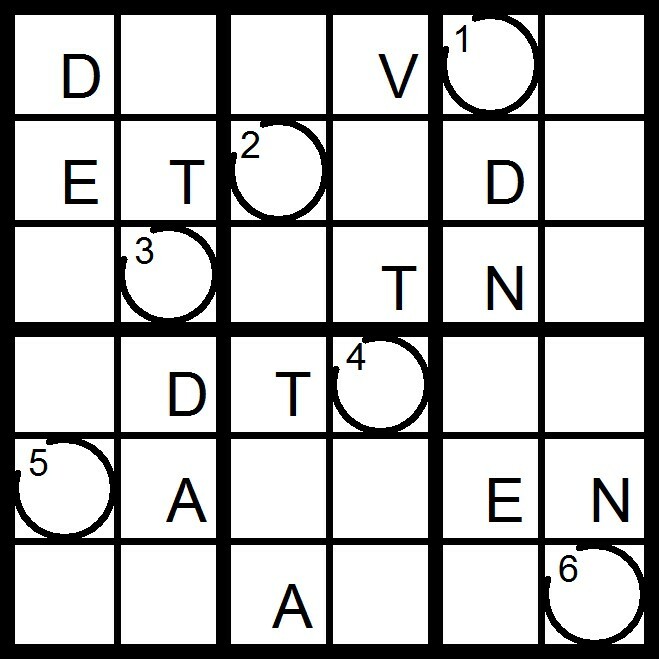 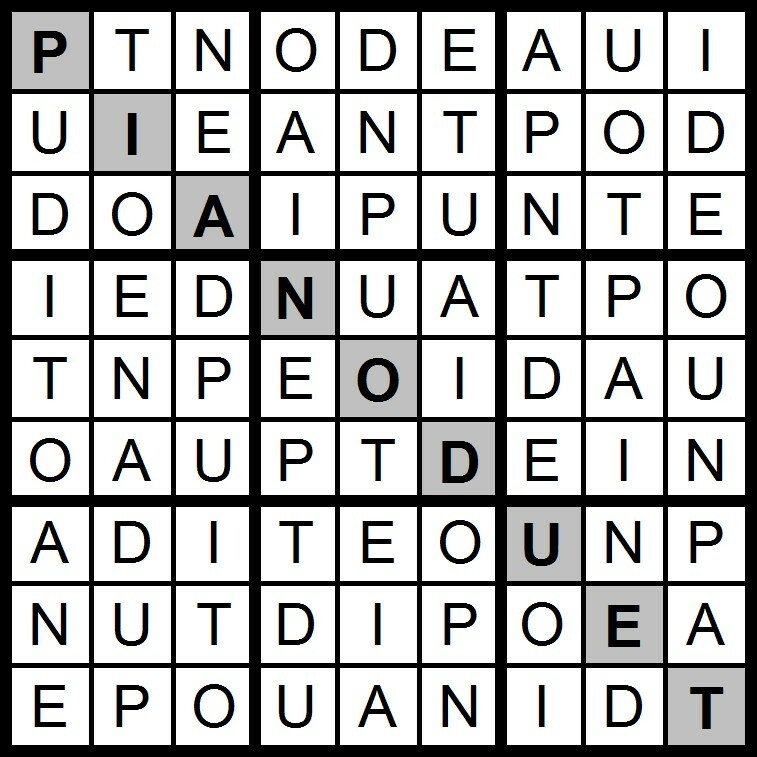 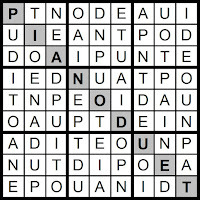 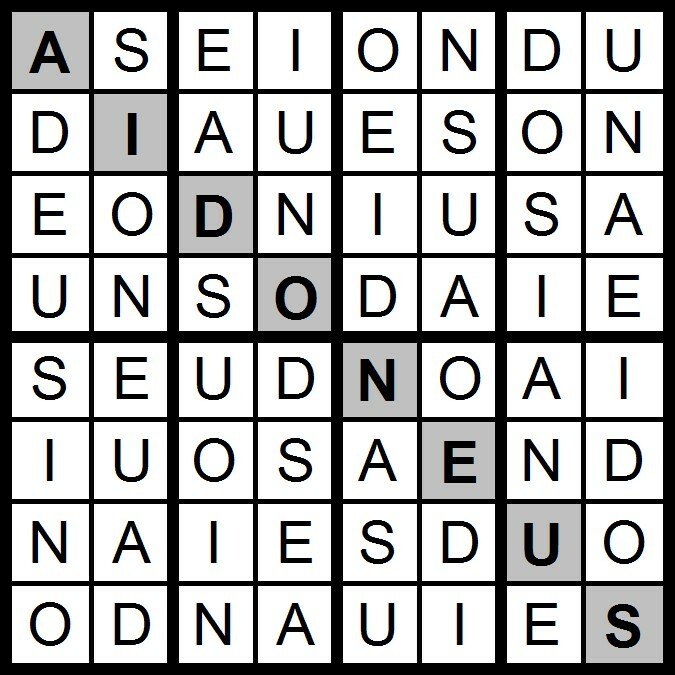 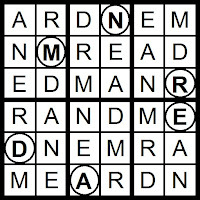 Today's 9x9 AEIOU Hidden Word Sudoku puzzle contains the letters AEIOU +DNPT. 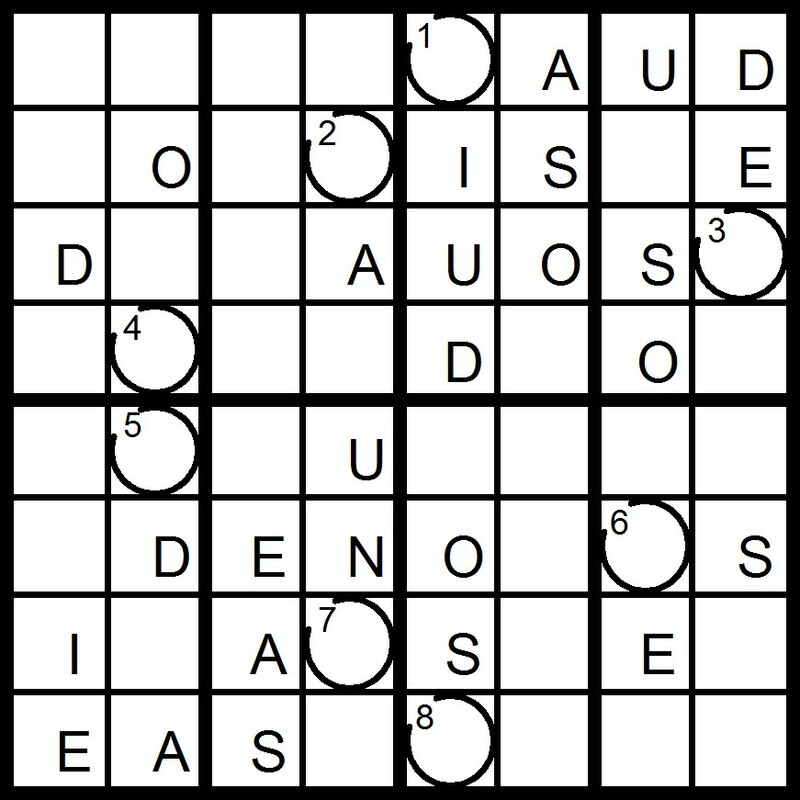 Yesterday's 8x8 AEIOU Word Sudoku puzzles were based on the letters AEIOU +DNS. 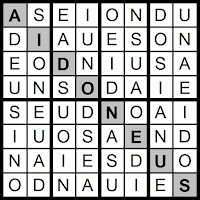 (AIDONEUS; ASSIDUOUSNESS; IN DUE SEASON). 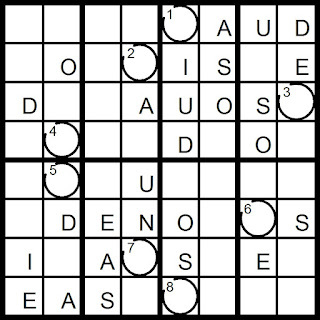 Today's 8x8 AEIOU Word Sudoku puzzles are based on the letters AEIOU +DNS. 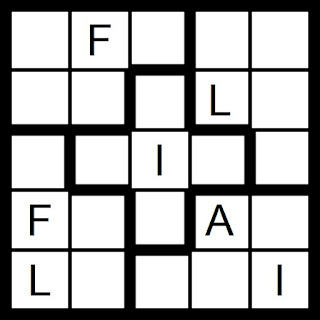 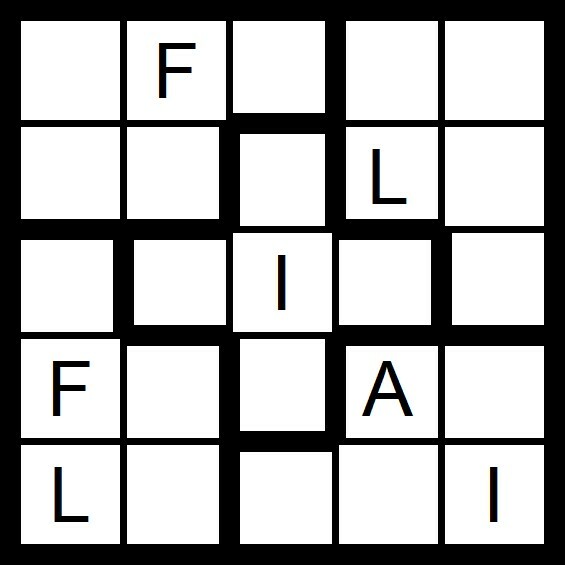 Today's 5x5 Word Sudoku puzzle contains the letters in the word FOLIA. 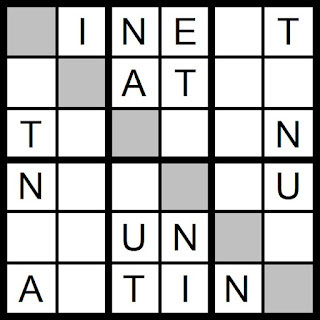 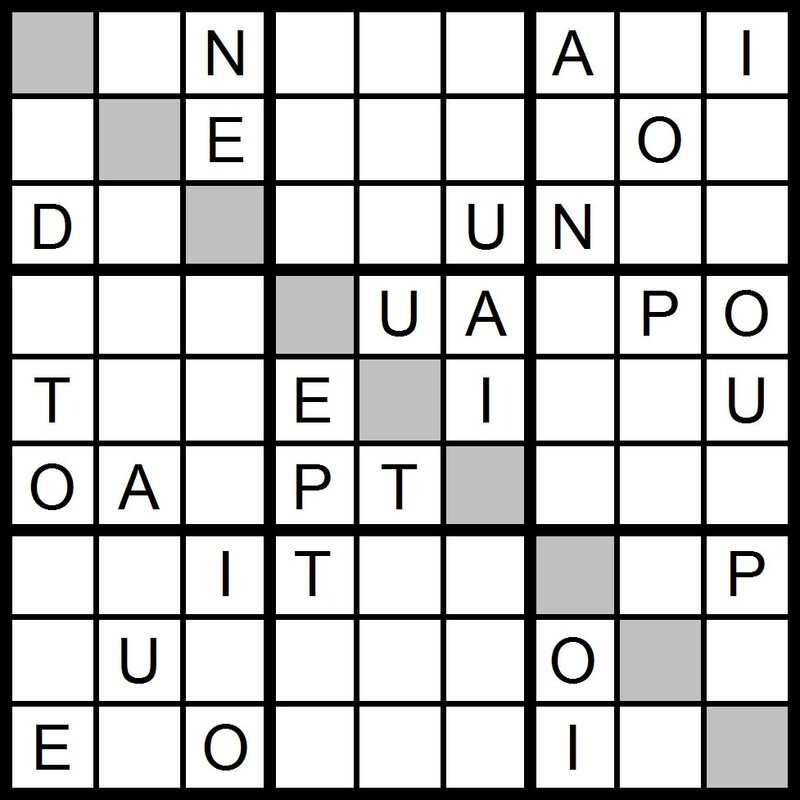 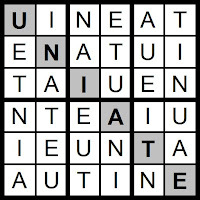 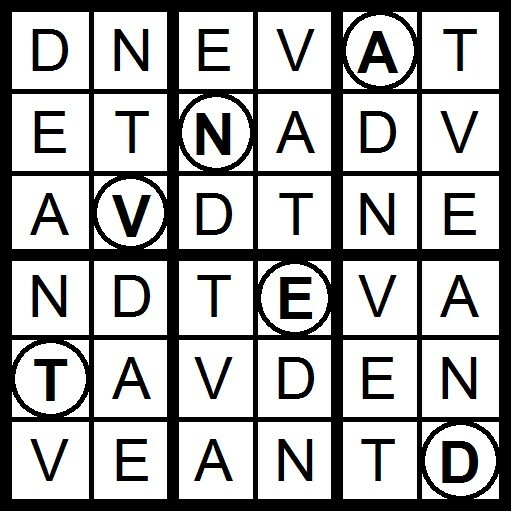 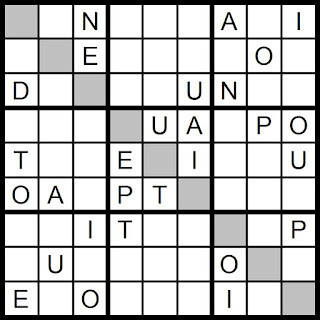 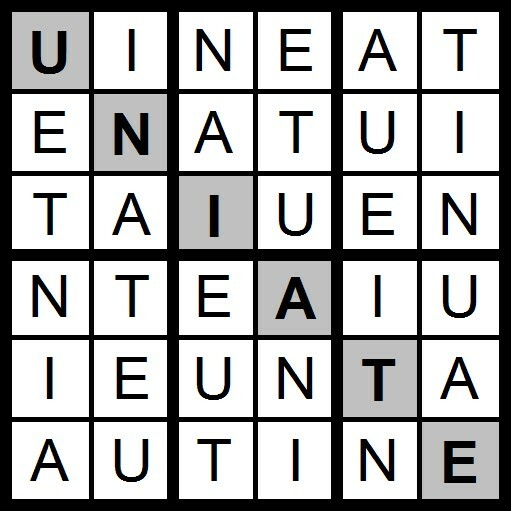 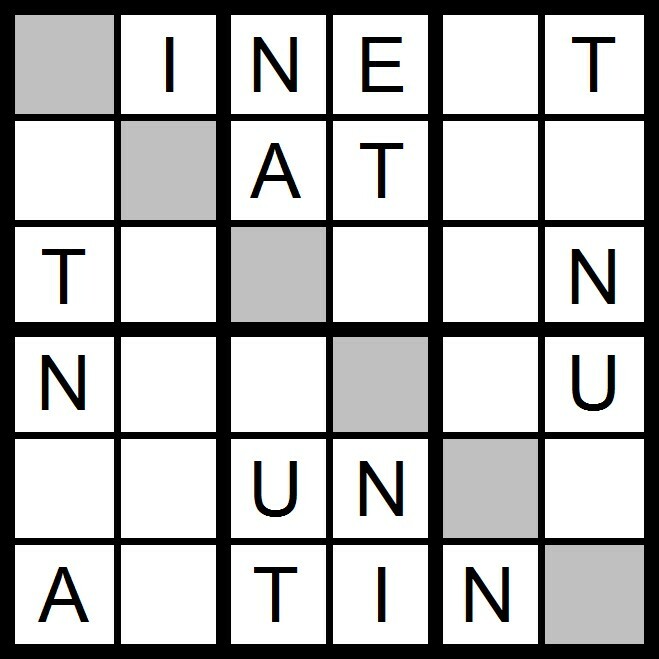 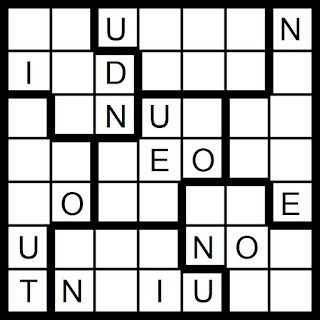 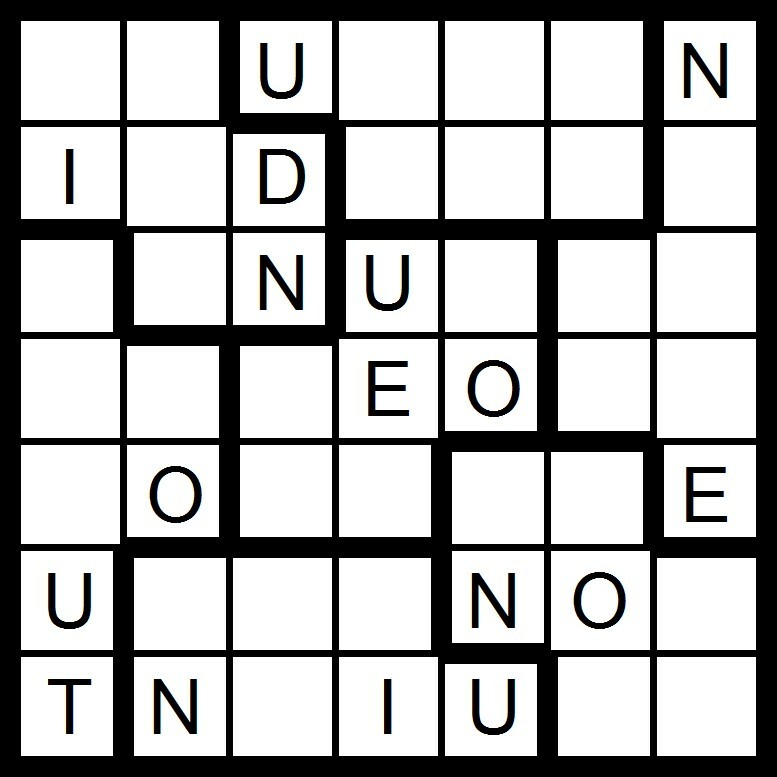 Yesterday's 6x6 Hidden Word Sudoku puzzle was based on the letters AEIOU -O +NT (UNIATE). 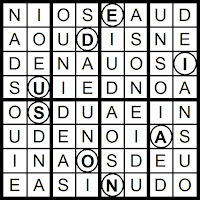 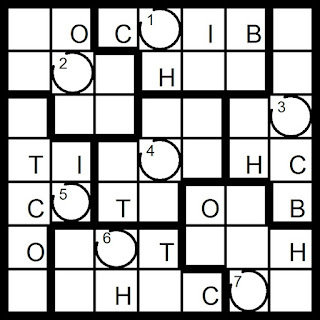 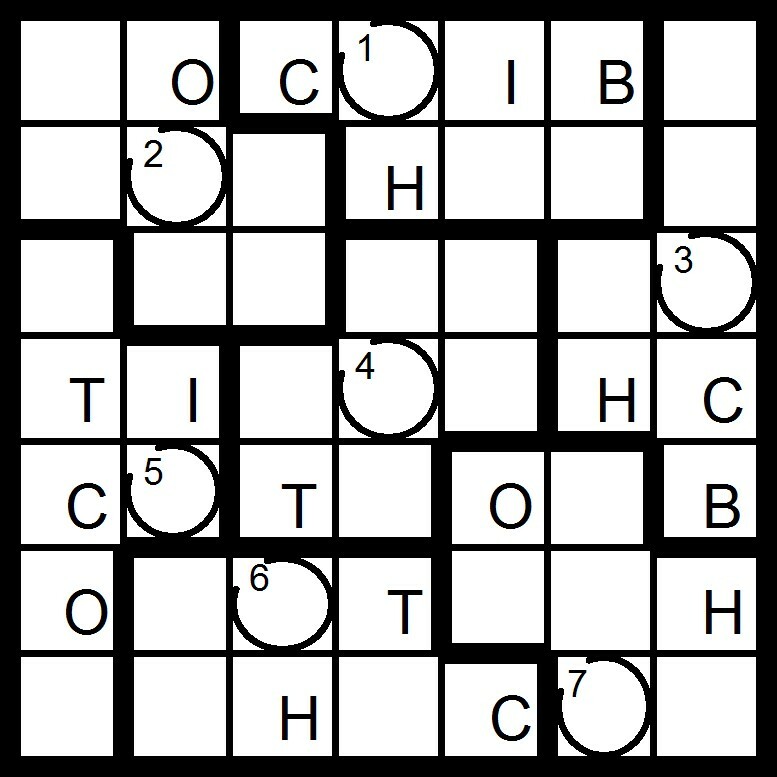 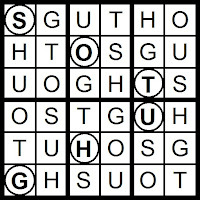 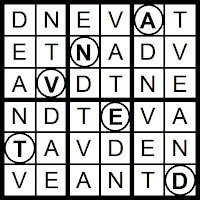 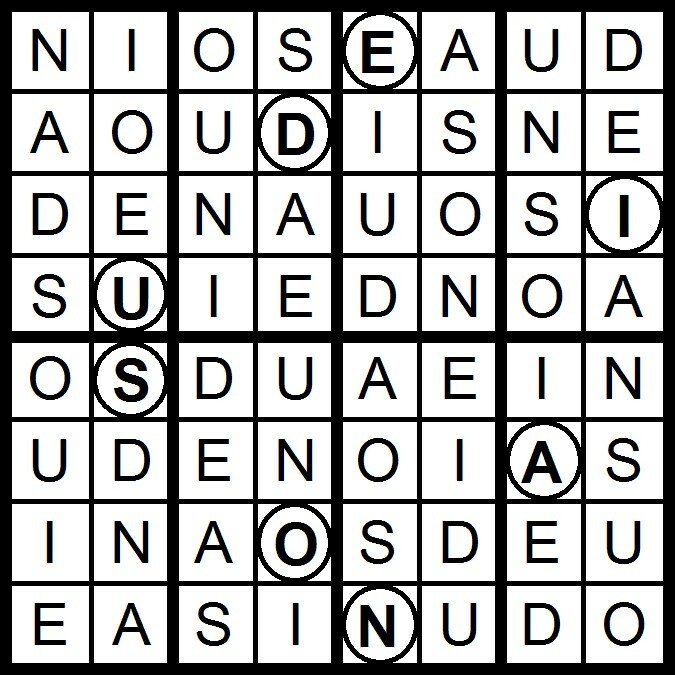 Today's 6x6 Hidden Word Sudoku puzzle is based on the letters AEIOU -O +NT. 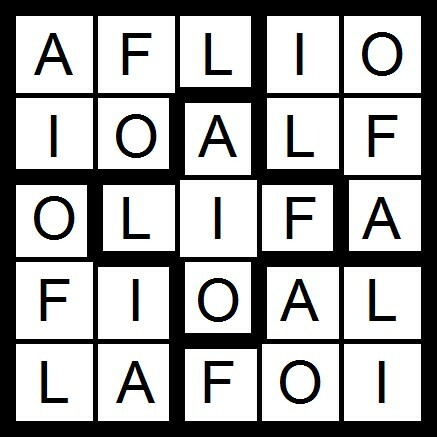 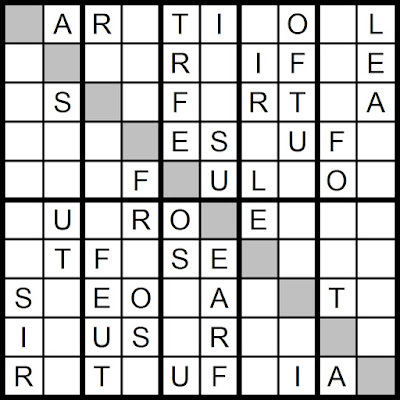 Yesterday's 10x10 AEIOU Hidden Word Sudoku puzzle was based on the letters AEIOU +FLRST (FOLIATURES). 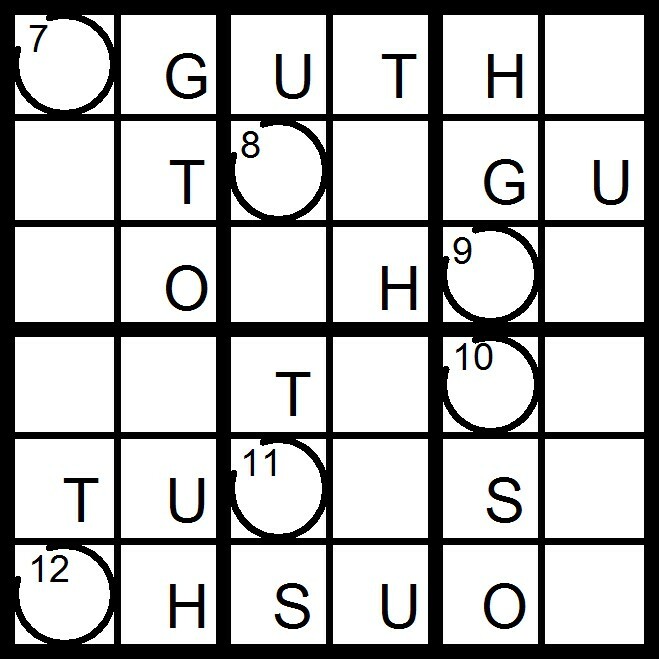 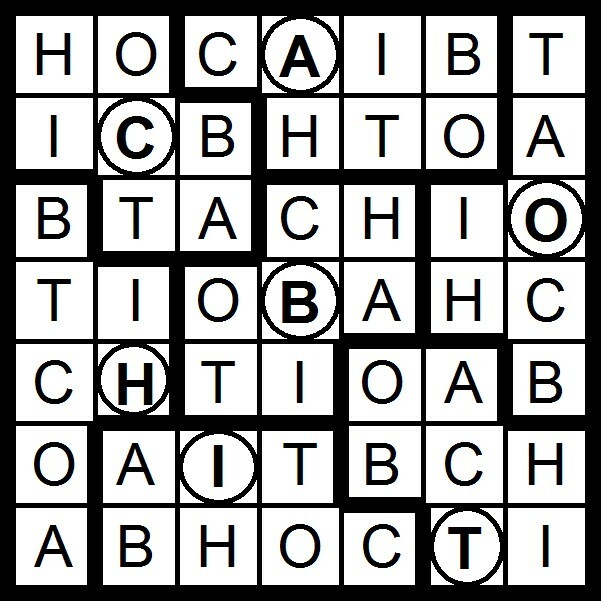 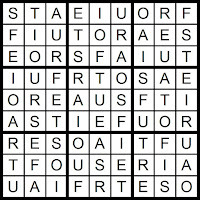 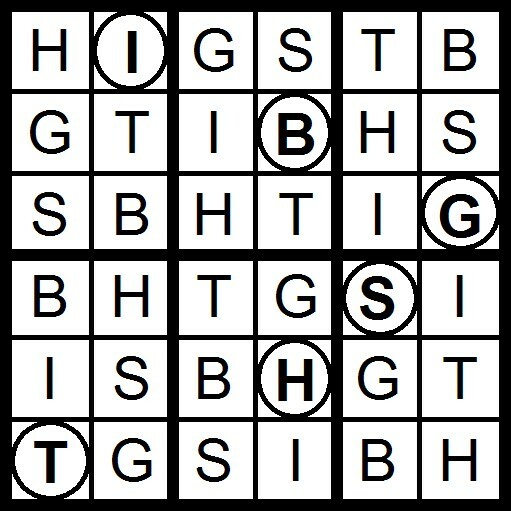 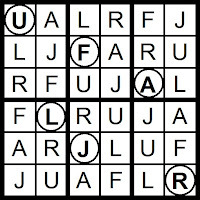 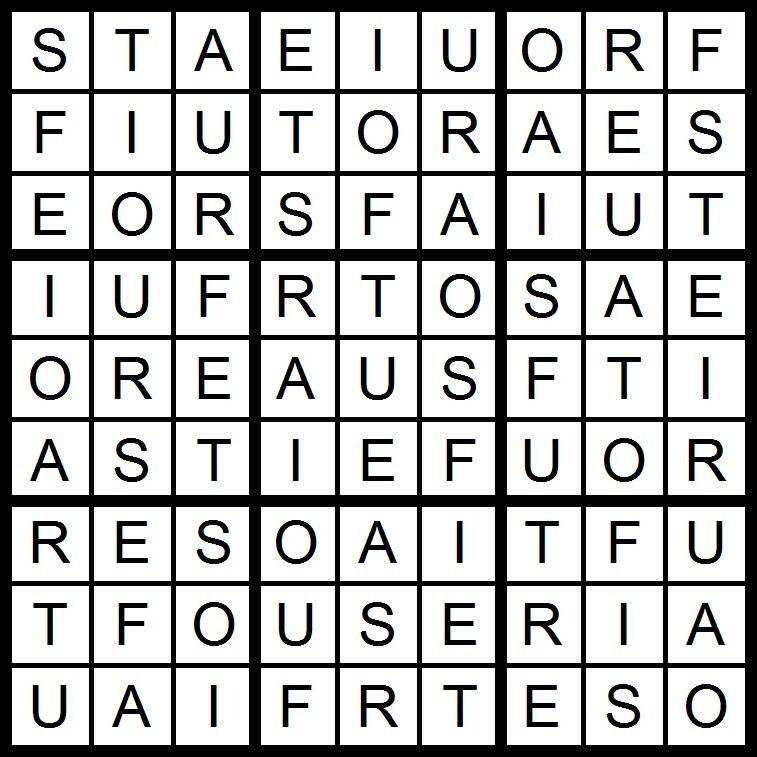 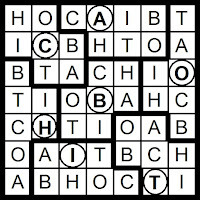 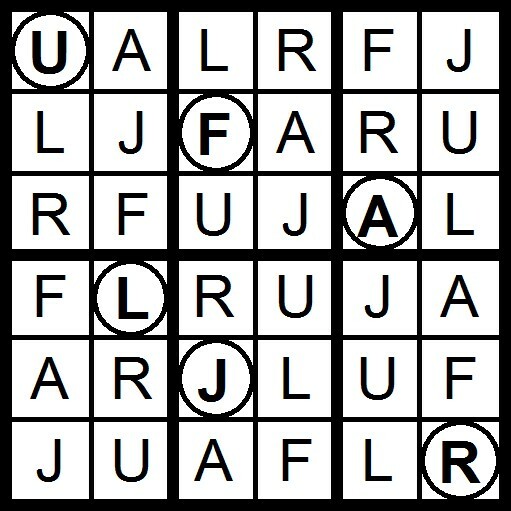 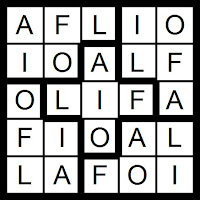 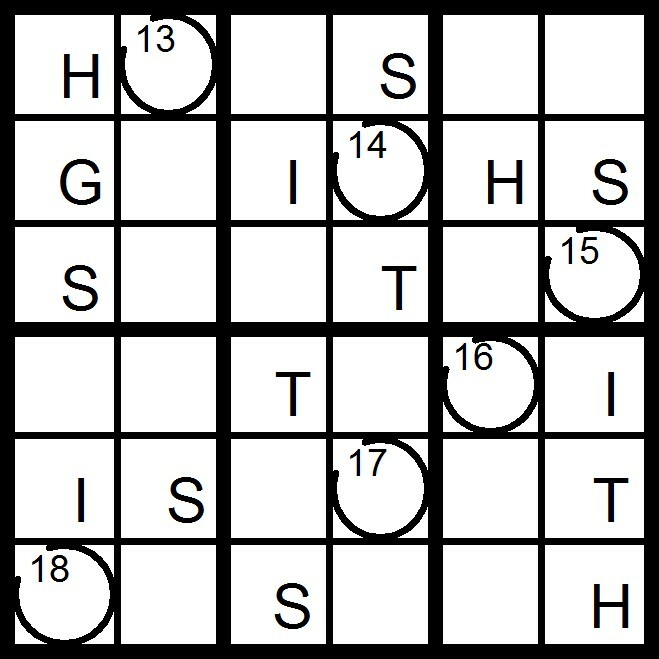 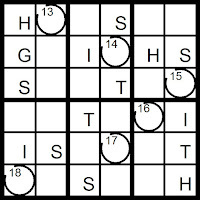 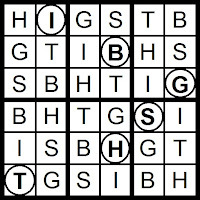 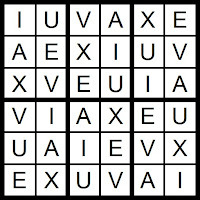 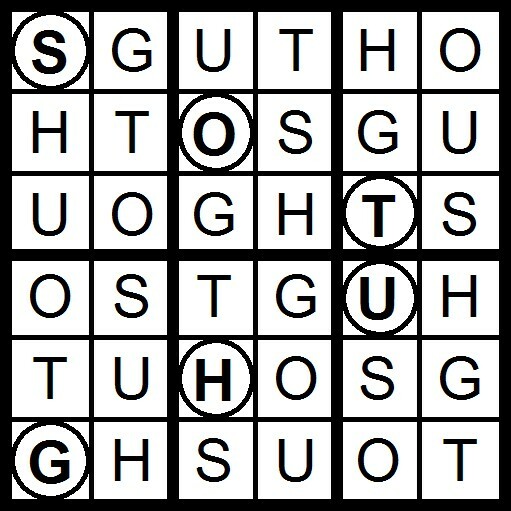 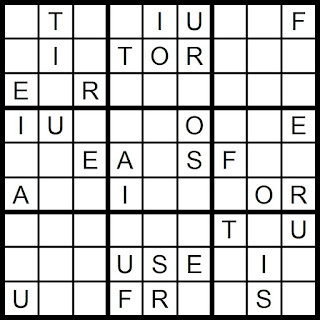 Today's 10x10 AEIOU Hidden Word Sudoku puzzle contains the letters AEIOU +FLRST. 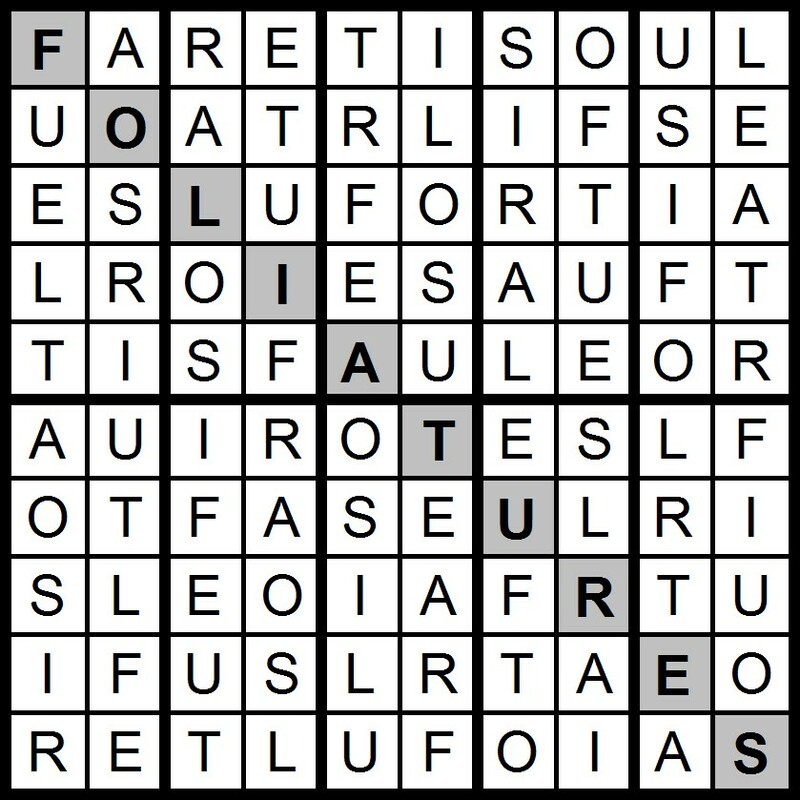 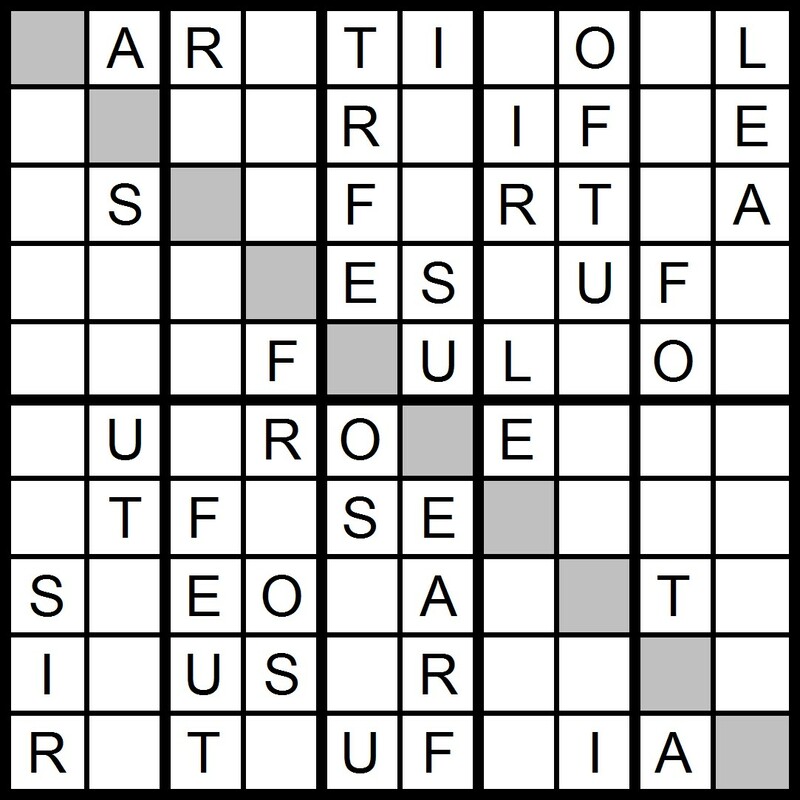 Yesterday's 9x9 AEIOU Word Sudoku puzzle was based on the word AUTREFOIS. 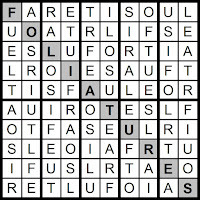 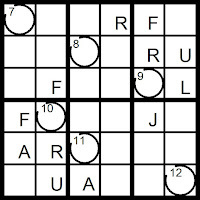 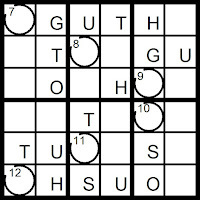 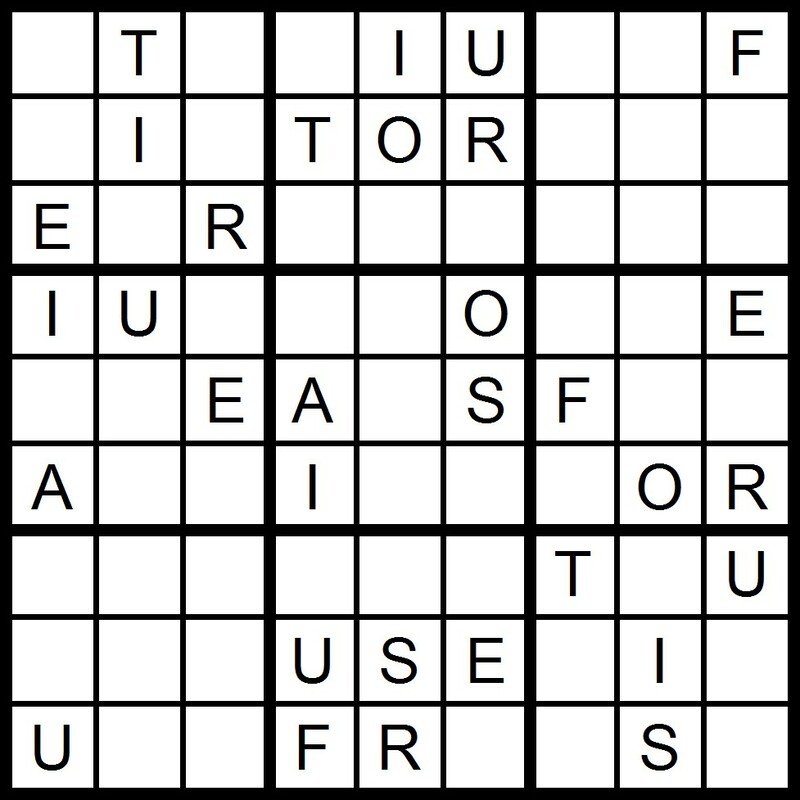 Today's 9x9 AEIOU Word Sudoku puzzle contains the letters in the word AUTREFOIS. 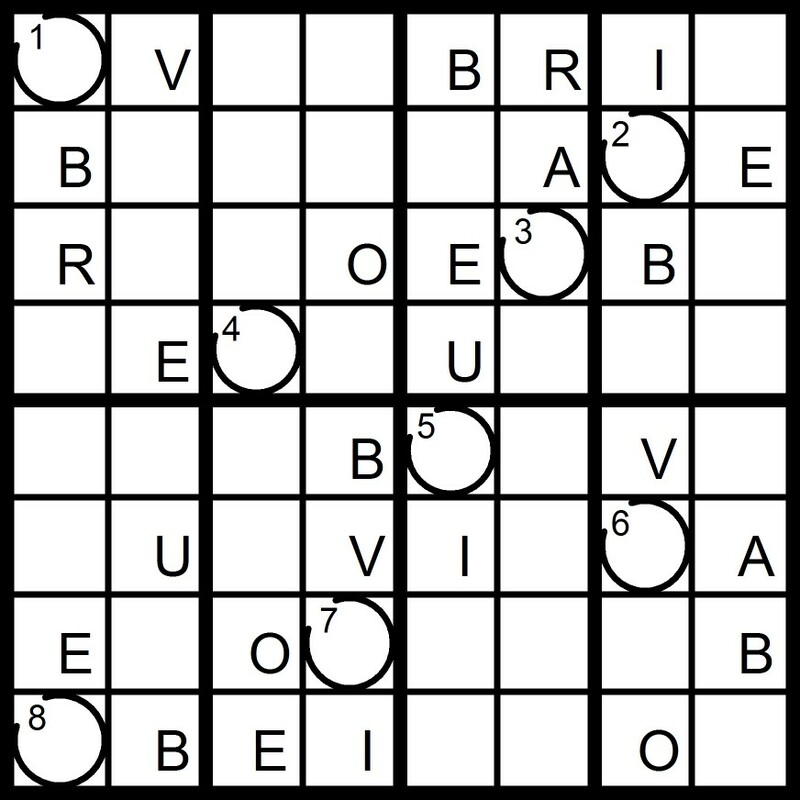 Yesterday's 8x8 AEIOU Word Sudoku puzzles were based on the letters in the word BEAUVOIR. 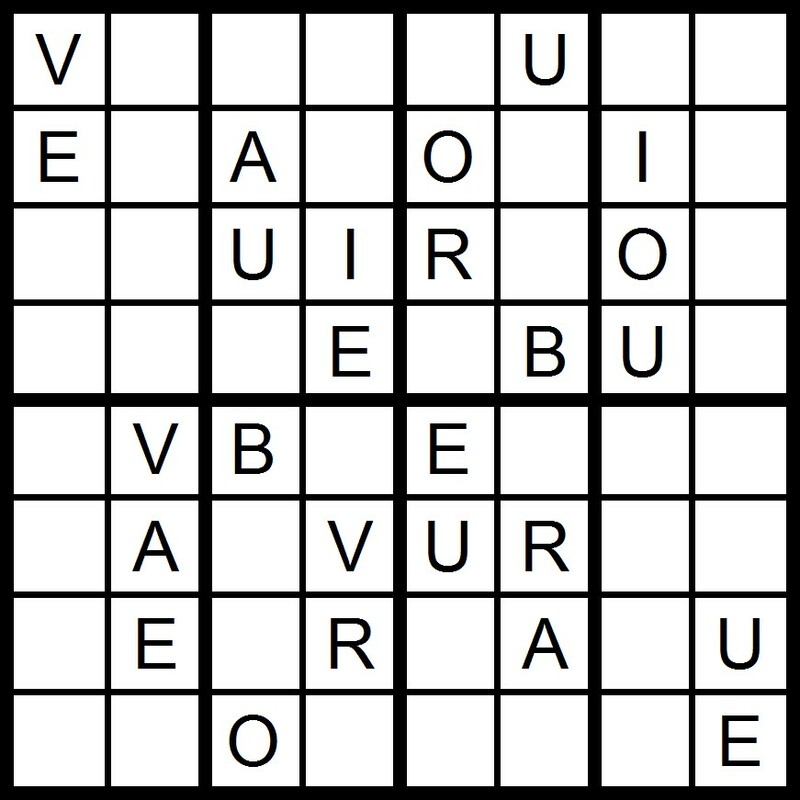 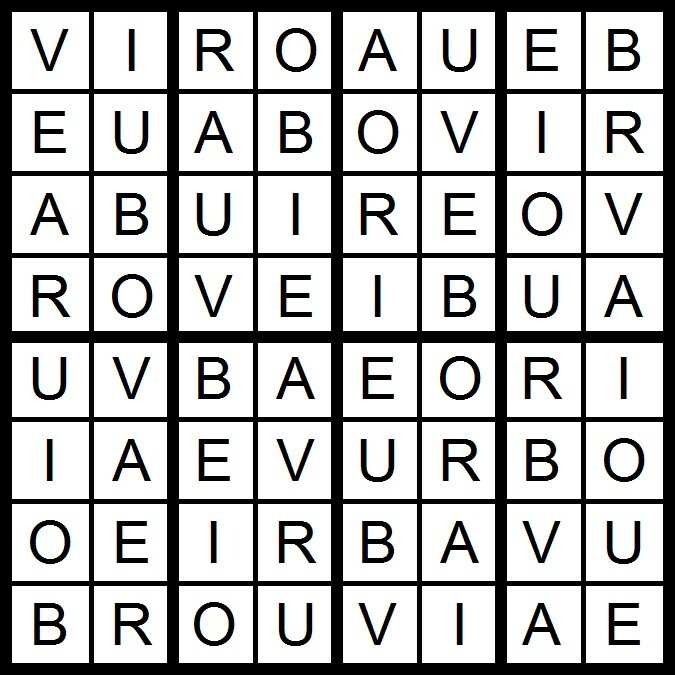 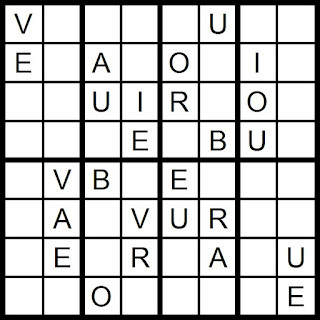 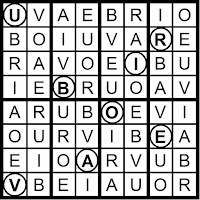 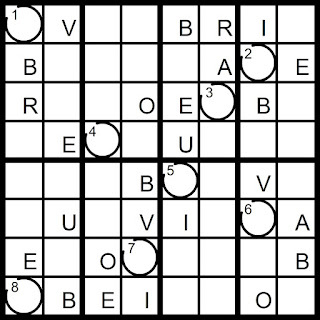 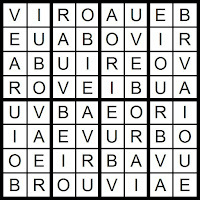 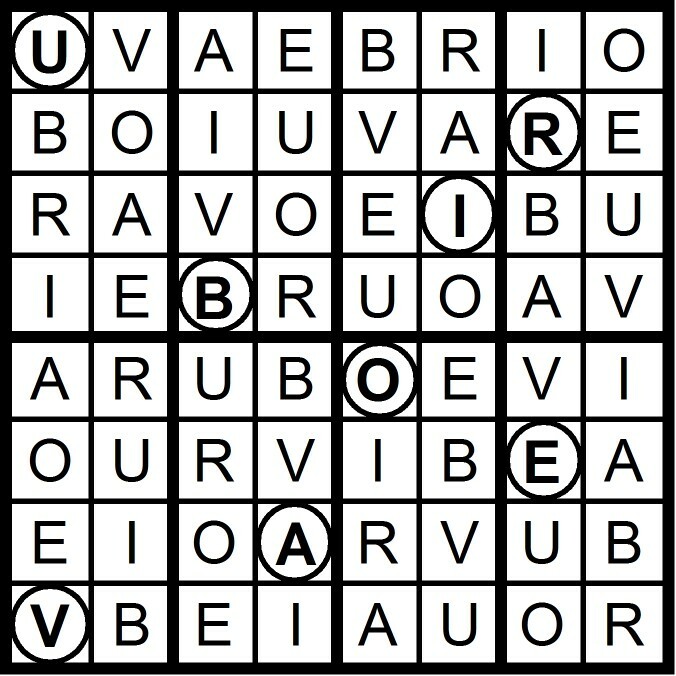 Today's 8x8 AEIOU Word Sudoku puzzle contains the letters in the word BEAUVOIR. 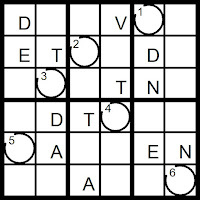 Today's 7x7 Word Sudoku puzzle contains the letters in the words DINE OUT. 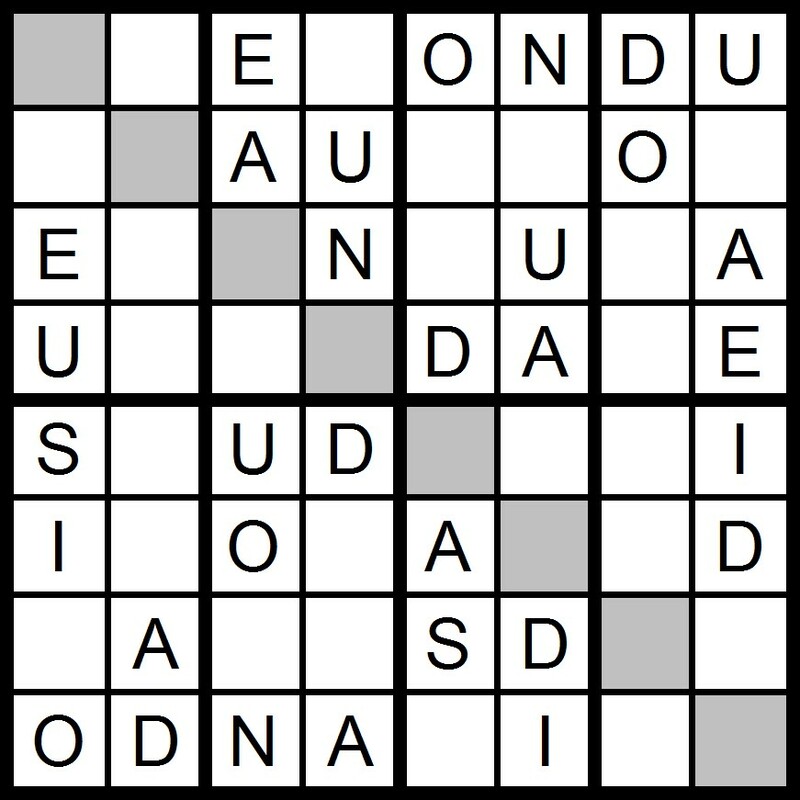 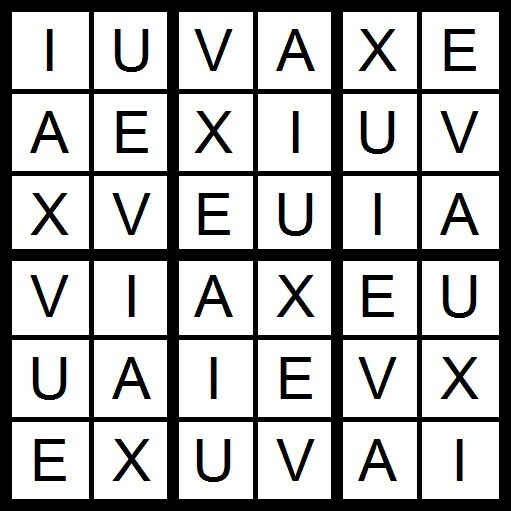 Yesterday's 6x6 Word Sudoku puzzle was based on the word EXUVIA.